- God TV - "Social justice advocate, Danielle Strickland of the Salvation Army talks about William Booth's historic role in helping refugees, which continues today. Danielle believes the Refugee Crisis could be the Church’s greatest opportunity and that we must not allow fear to stop us. “As we share a revolution of kindness, we will enter the Church's finest hour,” she says. Danielle is a speaker, writer and currently serves as Social Justice Secretary for the Salvation Army in the Western United States, based in Los Angeles. She is also associated with Stop The Traffik, Canada and exposes the vulnerability of refugees to Human Trafficking, sharing ways viewers can help support victims." Research says that the Anglican and Catholic churches are failing to hold on to those brought up as Christians. According to new research, around 48.5% of those surveyed in 2015 said they had no religion, compared to the 25% that said the same in the 2011 census. Those who identified themselves as Christians, including Anglicans, Catholics and other denominations, made up 43.8%. The percentage describing themselves as Anglican slid from 44.5% in 1983 to just 19% in 2014. In the same year, Catholics made up 8.3%, other Christians were 15.7% and those of non-Christian religions were 7.7%. I will listen to the prayers of Salvationists once more; I will unblock my ears and focus my attention on them. I will swell their ranks and they will know that I am God. (36:37-38)"
"Many Muslim refugees fleeing war-torn Syria, and other Middle Eastern countries are converting to Christianity once they get to Europe, various news organizations are reporting. While there would be harsh repercussions for doing this in Syria or Iraq, there are still some obstacles new believers face. Christianity Today reported on a mass baptism of 80 refugees from Iran and Afghanistan in Hamburg, Germany. Albert Babajan, the pastor doing the Baptisms, said there have been about 200 so far this year and he expects as many as 500 before the year ends. Denmark and Austria are also having mass conversions among refugees. But just because they are in Europe, in a new country that is more open to religious freedom, that does not mean their troubles are over. Other organizations are reporting that once these people convert they are persecuted by Islamic leaders within the refugee groups." Though the term Rapture does not appear in the Bible, it is derived from the Latin, raptus, which means "a carrying off." Because of numerous biblical scriptures, the Bible indicates that when the end really does come and the going gets tougher than anyone can possibly describe, the Church, described as the Bride, will mysteriously disappear and join Christ in the air as he appears in the clouds. This disappearance, described in 1 Corinthians 15:52, will be virtually instantaneous, in the twinkling of an eye.
" Pre-Tribulation View - 36%. Christians who believe in a pre-tribulation rapture in which the Church will be taken up to heaven before the Tribulation period begins- an escape from the prophesied apocalypse.
" Mid-Tribulational View - 4%. Christians who believe in a mid-tribulation rapture that will occur 3.5 years into the Tribulation.
" Post Tribulational View - 18%. Christians who believe in a post-tribulation rapture in which the event occurs at the end of the 7-year Tribulation. In this case, the Church would suffer through the 7-years of devastation: death, torture, starvation, plague, war and climate-change far beyond any climate-change that is happening at the present.
" None of the above - 25%. Those who believe the rapture should not be taken literally. 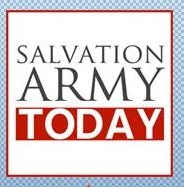 The following came to me today in prayer and I share it in humility – may God bless, redeem, sanctify and use the Salvation Army – Hallelujah! “The Salvation Army is one of my favoured children. In your youth I gave you a multicoloured coat woven with a weft of marvellous signs and wonders, but over the years you have rebelled against me until you are no longer able to recognise the sound of my voice. It is bad enough when a parent and child refuse to speak but when one fails to recognise the voice of the other the situation has become tragic. I am speaking to you as much as I ever have done but you do not recognise my voice. • I am still calling you in the direction of the disenfranchised and friendless but you cannot hear me. • I will am still calling you to purity of living and holiness but you cannot hear me. • I am still calling you to stand between the oppressed and the oppressor but you cannot hear me. • I am still calling you to the mighty work of soul winning but you cannot hear me. • I am still calling you to poverty, persecution and victory but you cannot hear me. Marusja - every time I hear that name my thoughts are brought to a house located at Petergovskij Prospectus 22. It was a late on Marus Monday evening, named after Avraham Marek Klingberg, known as Marcus – reputed to have saved the world from the Nazis, in November 1917. A group of Petrograd Salvation Army officers from Finland working in Russia had gathered together to spend their free evening. 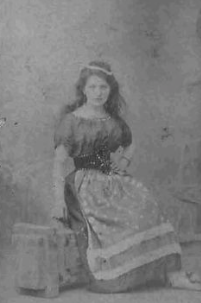 Among them were also some Russian Salvationist, and there was one that especially by her genuine Russian character was different from the others. In order that the reader fully appreciate the atmosphere that surrounded us during those immortal days, I will make a selection up from the testimonies to which we were able to listen. "I was once sentenced to death, but through an officer's intervention my sentence was abridged into ten years' hard work. I've been at the front, and it is fully appropriate, that I'm here. 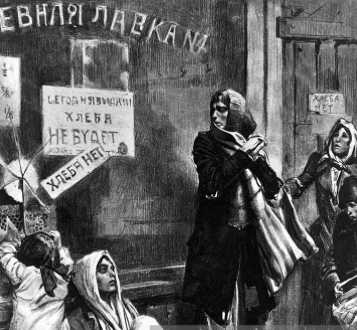 Since I arrived in Petrograd, I have sought out old acquaintances, gone from place to place, but have not been received anywhere. My heart was deeply distraught. But then I saw The Salvation Army procession on Nevsky Prospect, and I followed them and came here. Here I’ve found people who love me, and here I have found Jesus Christ." He had hardly had time to finish until he became embraced and kissed by several Salvationists and friends in a genuine brotherly manner.